Does Amazon have a touchscreen version of the Kindle up its sleeves? Maybe, maybe not—but for now, at least, bargain hunters can snap up a refurbished, Wi-Fi-only Kindle on the cheap. The factory-refurb Wi-Fi Kindle 3 is now selling for just $99, versus $139 for a new Wi-Fi-only Kindle. Meanwhile, those in the market for a cheaper 3G-enabled Kindle can get a refurbished version for $129, a good $60 off the price of a mint-condition model. Kindle blog Beyond Black Friday spotting the deals late last week. Nice, but do the price cuts for used Kindles mean that the current models are about to become obsolete? 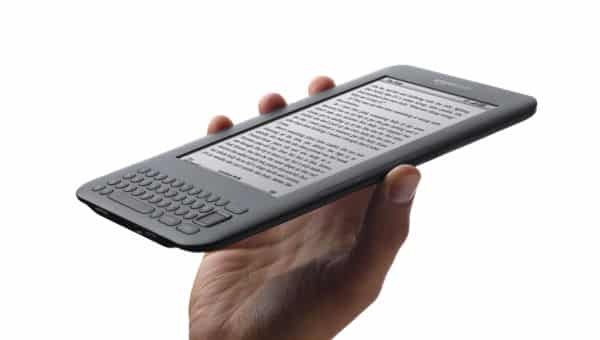 Perhaps, with the Wall Street Journal reporting just a few weeks ago that a touchscreen version of the Kindle, similar to the recent touch-enabled Nook e-reader from Barnes & Noble, might arrive before the year is out. Amazon is also widely expected to unleash an Android-powered tablet to take on the iPad. The $139 touchscreen Nook is about 10 percent smaller and an ounce lighter than the non-touch Kindle, and it’s won high praise from reviewers. I’d imagine that a touchscreen Kindle would also be smaller and lighter than the current model. Amazon also has a couple of ad-supported Kindles on sale: the 3G Kindle “With Special Offers” for $139, and Wi-Fi-only “Special Offers” model for $114. So, here’s the big question: snag a bargain Kindle now, or wait for the rumored touchscreen version? Let me know what you think.